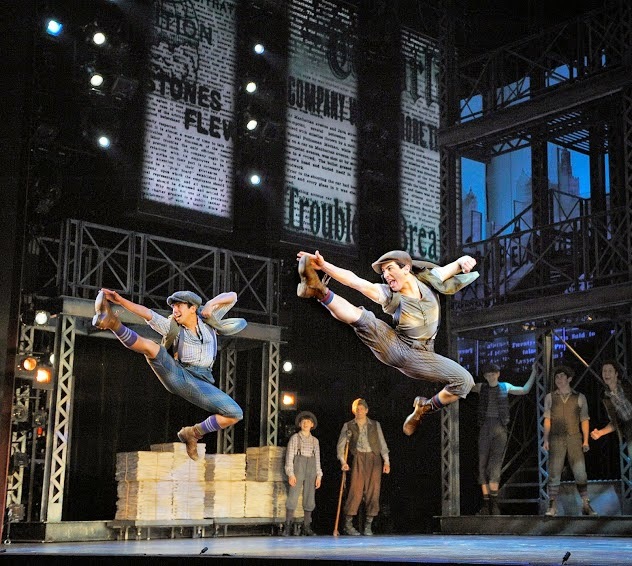 NEWSIES delivers the best synchronized dancing I've seen since A Chorus Line. 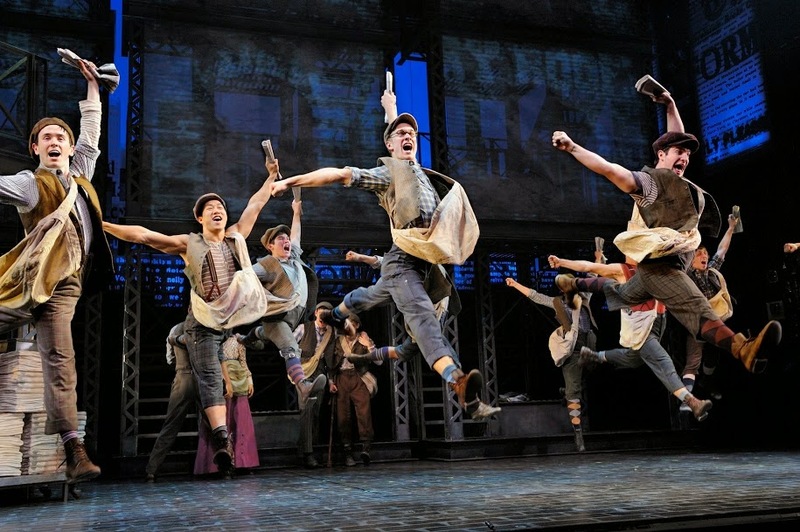 Worthy of its 2012 Tony Award for best choreography, NEWSIES is a high-energy, well-performed story of young paperboys' defiance of exploitation by big business...This is based on a true story! 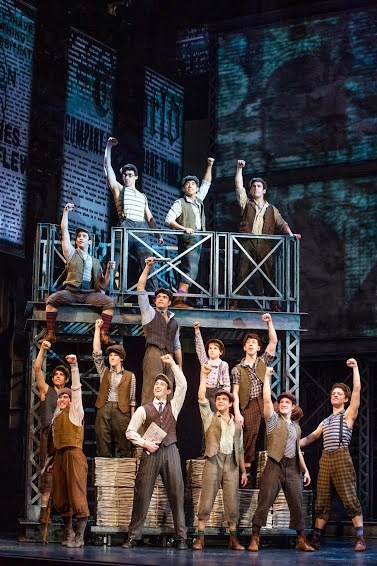 Now at The Fox Theatre through Sunday, January 25, NEWSIES On Tour garnered the grandest, most heartfelt standing ovation I've seen on an opening night in ages! A 1992 movie of the same title didn't do so well, but Disnesy's NEWSIES stage performance has taken command of audiences, bringing adults to their feet and smiles to children's faces...and putting Newsboy Caps on their heads. 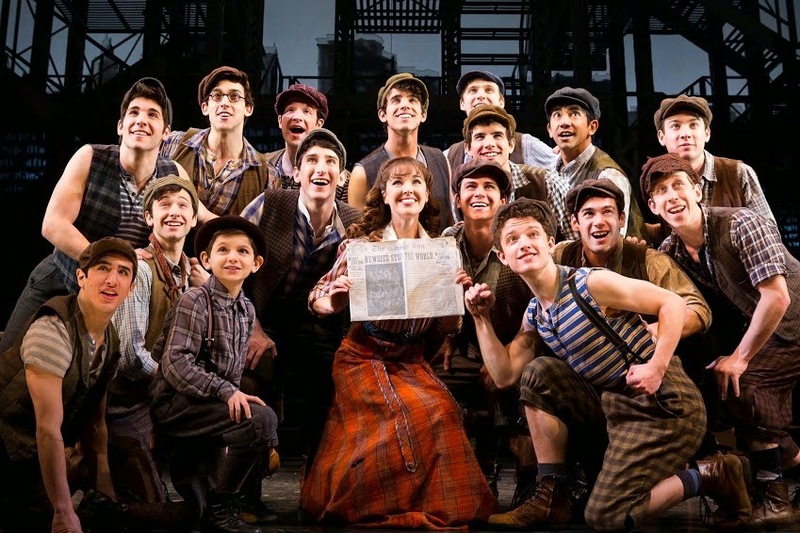 Is NEWSIES responsible for the resurgence of this 1900s fashion? I don't know, but I wouldn't be surprised. Even Nordstrom sells them! And there were quite a few in the audience opening night. I love seeing that kind of support for such a magnificent show. Looking back through modern history, there have been many newsboys strikes, but this show is the story of one strike in particular. A newsboys strike that took place in New York City in 1899. And it has a few familiar names...Pulitzer, Hearst and Roosevelt, to name a few. This musical changed the name of the lead character--the leader of an emerging newsboy union--to Jack Kelly, brilliantly performed by Dan DeLuca. This young man has not only mastered dancing and acting, he puts on a rather convincing turn-of-the-century New York City accent. The entire cast is brilliant. It truly has been a while since I've seen a cast work so incredibly well together. Either their each and every one 1,000 percent dedicated to their art or they're all best of friends offstage. Perhaps they're both. The performance is flawless! The cast truly is brilliant...they're ALL amazing! The "is-it-for-real?" developing love story between Jack Kelly (Dan DeLuca) and Kathrine (Stephanie Styles) was delightful in humor, as well as romance. You can't help but root for shy Davey (Jacob Kemp)--I was a very shy kid, so I identified with this character--and Crutchie (Zachary Sayle) is a personal favorite--his resolve and determination are heroic...my kind of character. The dancing and acting are joined by superb singing. It's as if their voices were made for each other. Their voices harmonized perfectly, just as their dance steps. I think the only thing I didn't like about this show is that it was over in two hours...I'd have stayed as long as they'd have kept dancing! The first thing that caught my attention--and kept it throughout--was the set(s). Tony-nominee (for Newsies) Tobin Ost did a magnificent job. Check out this Broadway.com video interview with Ost, when he discusses how the sets were inspired by the printing press used in the show. AND...there's tap dancing! Exceptional tap dancing. It thrills me to no end to see so many young people who obviously have an amazing grasp on this delightful style of dancing. It's been a favorite of mine since I was a kid--although I never learned myself--I so love to see a spectacular tap performance. One of the more profound lines in the show is delivered by then Governor of New York Teddy Roosevelt, "Each generation must, at the height of its power, step aside and invite the young to share the day." The youngsters in Disney's NEWSIES on Tour...not only share the day, they've seize the day, to the enjoyment of Atlanta and I'm certain every city on its national tour. Get you tickets to NEWSIES right away...it'll be in the headlines for quite some time, but only on stage in Atlanta through Sunday. A huge wanderlust ATLANTA "Thank you" to Broadway in Atlanta and BRAVE PR for inviting me to the show. I hope you will make the time to see it as well. "Love is in the air..." Oh wait, that was a 70s television show. But it's true all the same, especially this time of year. 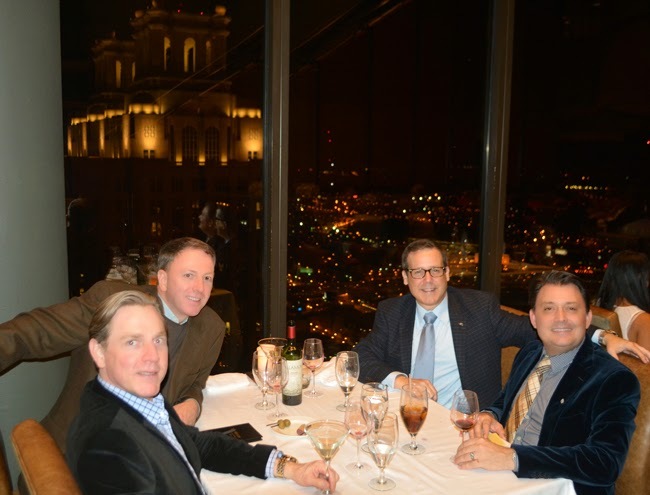 There are infinite possibilities for Valentine's experiences to be shared in Atlanta. Whether you're celebrating the heart-shaped holiday with your sweetheart, boyfriend, girlfriend, husband or wife, or perhaps you're sharing a special outing with your best friend or a beloved family member, Atlanta rolls out the red carpet for Valentine's. I'd like to share with you a few of those "infinite possibilities", for consideration in your planning time with your special someone. Some of these are romantic traditions and some are likely not on your radar at all. Personally, I like to bestow (or enjoy) the occasional unexpected pleasant surprise. Romeo et Juliette, presented by the Atlanta Ballet, with the Atlanta Ballet Orchestra, will be playing at the Cobb Energy Performing Arts Centre Friday, February 6, 2015 through Saturday, February 14, 2015—Valentine's Day. I'm going Opening Night! The Garden gift shop is one of the more brilliant in Atlanta, should you also want to pick up a unique gift. Sometimes we're not able to make things happen on the exact day of a holiday. 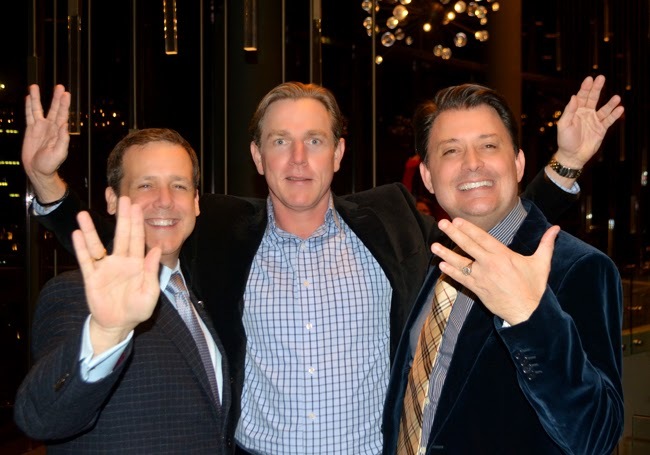 Fortunately this year, it's on a Saturday, which opens up a greater range of opportunity, BUT...if you're not free on February 14, consider celebrating a little early at Sips Under the Sea at Georgia Aquarium on Friday, January 23. 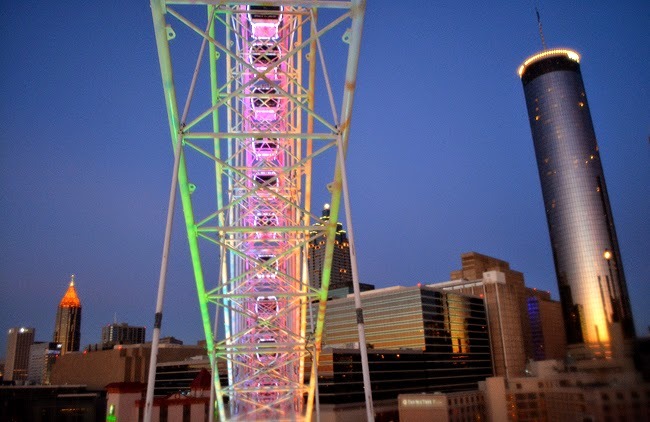 I love a great view...and SkyView Atlanta offers a most unique view—and experience—of Atlanta. I rode for the first time this past Christmas Day...loved it! 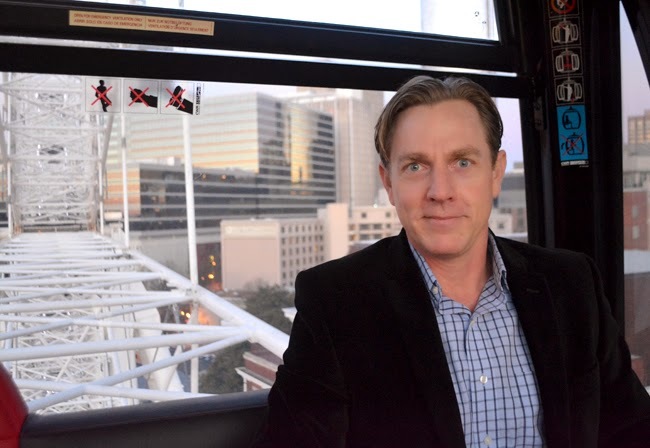 May I recommend, especially for Valentine's Day, reserving the VIP Gondola for you and your sweetheart. You get to skip the lines and the concierge can arrange for you to enjoy a libation (beer or wine) during your flight! What better way to celebrate Valentine's Day than by treating your sweetheart like a prince or princess! Medieval Times Dinner & Tournament is an exhilarating experience...there's jousting, sword fights, and romance. Arrive early for the pre-tournament festivities, then enjoy a two-hour tournament and a generous meal! And there's full bar service before, during and post-show. I've had the great pleasure of experiencing Medieval Times a number of times now. My most recent visits were a great fun! If you're visiting from out of town, or live here and want to stay in the city Valentine's Night, the Mandarin is offering a "Romeo et Juliette Romance" package, which sounds amazing! 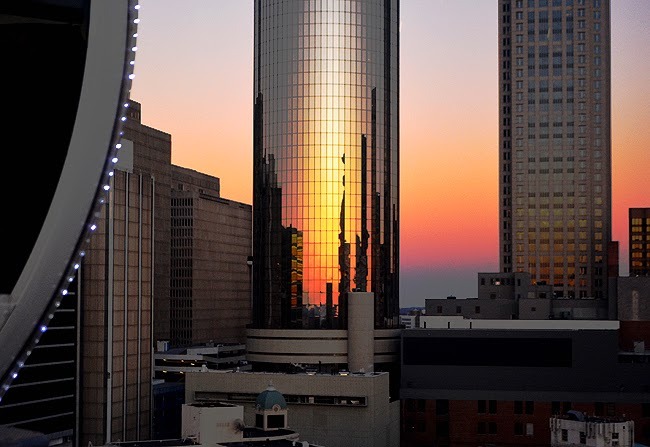 My very first date in Atlanta was at Sun Dial Restaurant & View, more than 70 stories above Atlanta, and it's one of only two revolving restaurants in Atlanta. 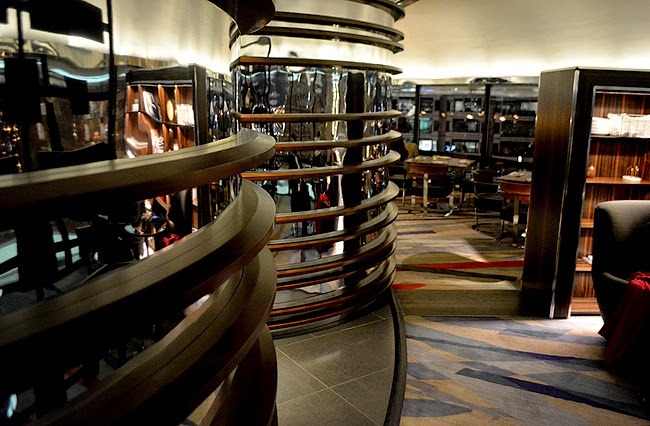 Even today I enjoy dining there for special occasions, and sometime just for a happy hour libation. Another unexpected sweet experience option...the day before Valentine's, enjoy a noon "Valentine's Day Love Songs" concert at the Michael C. Carlos Museum at Emory University. 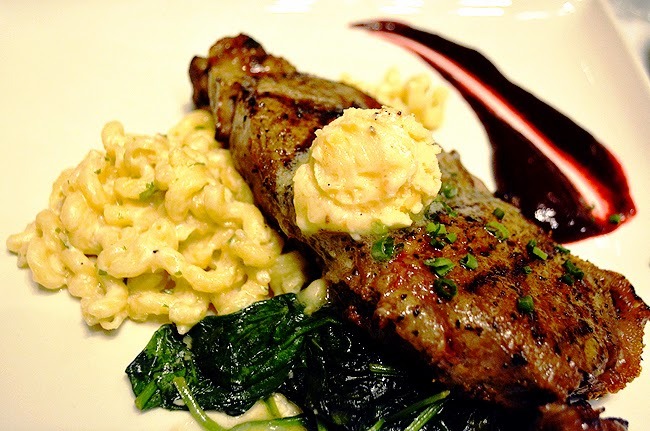 It's budget-friendly (read: free) and it's at Emory, so you know it's going to be world-class! Emory's Michael C. Carlos Museum and The Farmhouse at Serenbe are partnering for a wonderfully unique Valentine's experience...Dinner and Stargazing! If you want a Valentine's Day wedding anniversary, this is a grand opportunity. Cupid at the Castle is your chance to get married, have your commitment ceremony or renew your vows at The Castle on Peachtree! Whatever your fantasy for a romantic Valentine's Day, or leading up to it in celebration, have a magnificent time. 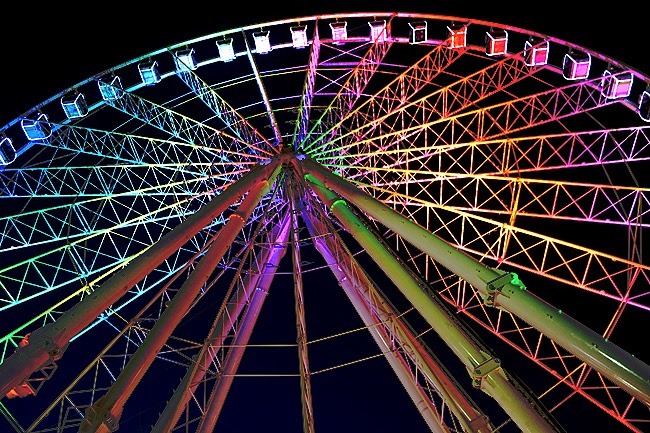 Enjoy any of the wonderful destinations and experiences that Atlanta has to offer. 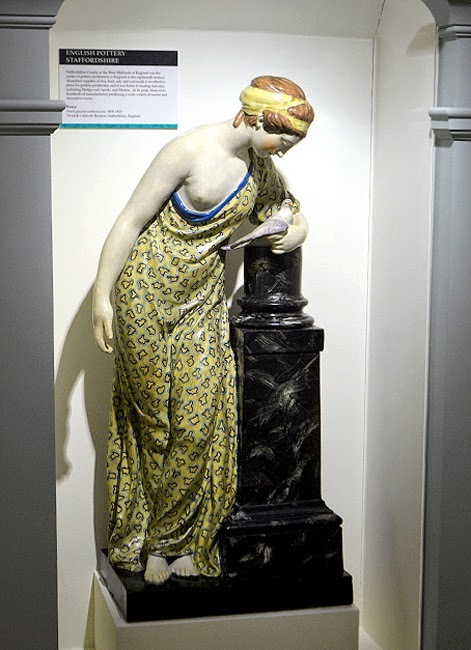 Have you ever "accidentally" discovered an exhibit...that you forgot you knew was coming? Long after reading about it? Such a circumstance can make for an exciting discovery! That was my experience last month at the Atlanta History Center. 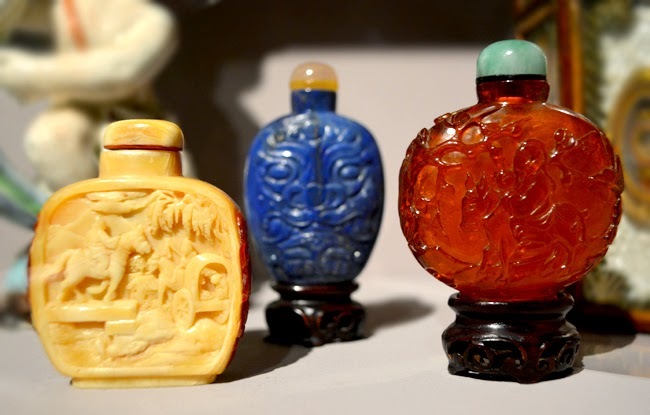 Mandarin Shutze: A Chinese Export Life features a significant portion of Swan House architect Philip Trammell Shutze's personal collection, one that started in the late 1940s with the "desire to acquire a full dinner setting of blue and white Canton china." What started as a modest endeavor was "escalating to furious activity by the 1950s." Shutze bequeathed his collection to the Atlanta History Center--he passed away in 1982--with the stipulation that it be exhibited in the 1928 Swan House, what he considered his architectural masterpiece, as do many Atlantans. The collection on display includes more than 350 artifacts from Shutze's collection of books, furniture, textiles and ceramics. 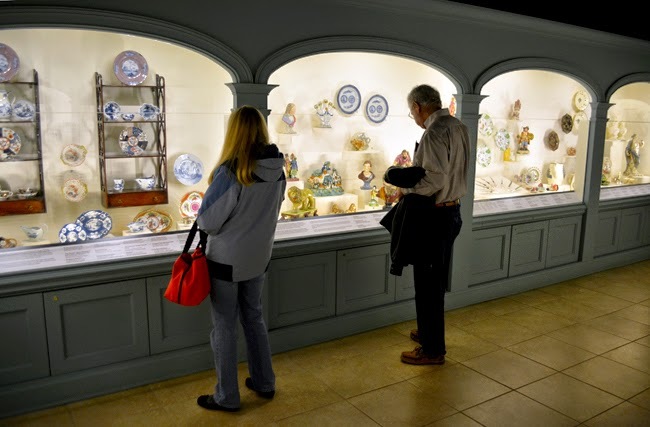 Specifically in this new permanent exhibition are English and Continental pottery and porcelain, Chinese Export porcelain, and American and English period furniture. 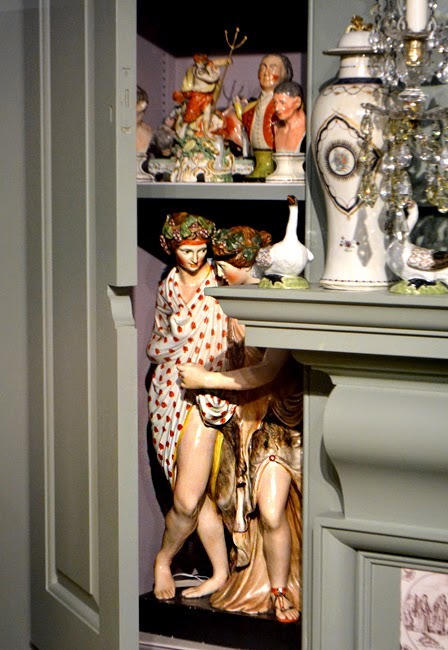 I never knew there was so much room in the basement-turned-gallery of the Swan House. 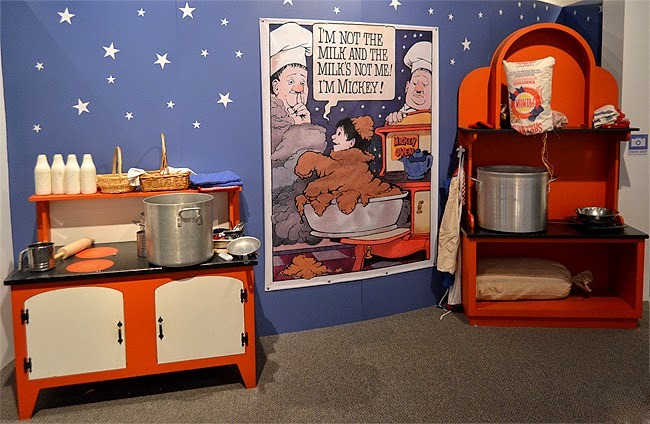 But I shouldn't have been surprised, knowing that the never-used, original 1936 Magic Chef stove--now in the kitchen--had been stored down there, to be discovered when the Atlanta History Center acquired the historic home. It was an exceptional revelation to discover this part of Shutze's life. I've long known that Shutze was a fascinating person, but evidently I have many more layers of his life to explore. 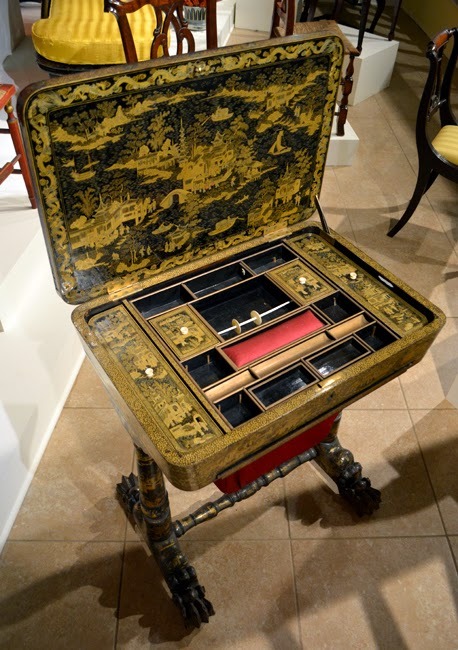 As fascinating as the individual items in this collection are, the one piece that I found most captivating is an 1850 Chinese lacquer sewing table, pictured above. At first I thought it was a gaming table, but I can't say I was disappointed. I learned how to sew from my mother, and have some experience from my Navy days--you had to be able to repair your uniform at a moment's notice--and I know zero Chinese board games. It's a beautiful piece of furniture, either way. Now, I'm not suggesting that you eavesdrop on other tourists, but if you happen to hear something, and they seem approachable, ask them about an exhibit they're talking about, or ask a museum staff member. Or, with today's technology, it's quite likely that the museum or attraction you're visiting has an app that you can search on your phone! Then again, you can do what I did and just go see for yourself. I'm so glad I did. 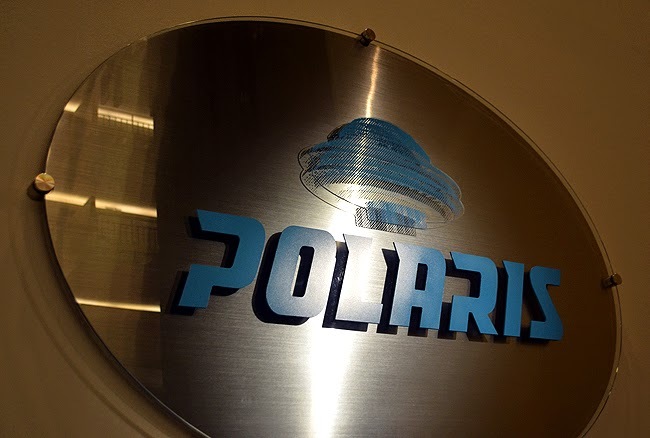 I would also suggest, even if you're a longtime member, that you check the website, subscribe (bottom of page) to their newsletter, follow Social Media, or pick up a map at the welcome desk and ask the attendant, "What's new that I should see?" There are artifacts from Shutze's collection around every corner and in every corner...there are many pleasant surprises, I should say. When you visit, I highly recommend that you allow ample time to explore. Give yourself time to soak in the significant amount of detail this exhibition offers. "As a collector, Shutze's first concern was the scholarly pursuit of the object based on careful study--as an expression of taste, respect for the past, and a way of living." That discernment makes itself obvious in this collection. 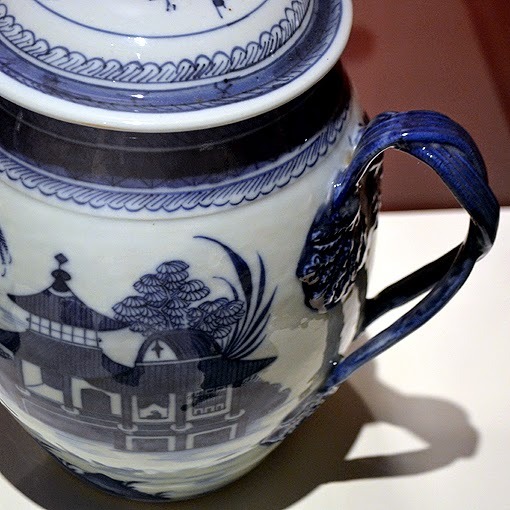 Half of Shutze's ceramics collection is comprised of Chinese Export. Much of that you'll get to see, and there's so much more. 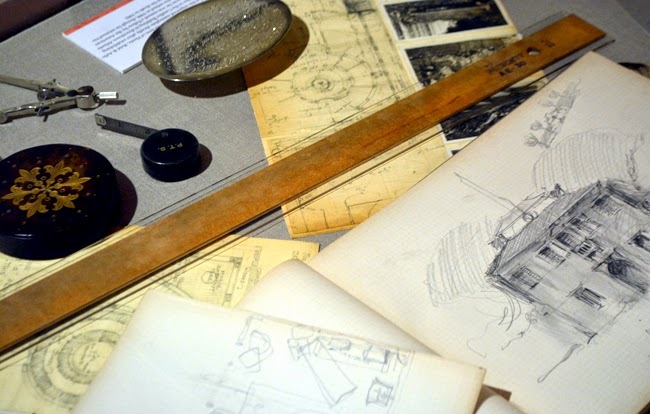 In fact, this permanent exhibition showcases 70% more than the previous Atlanta History Center exhibition, Philip Trammell Shutze: Atlanta Classicist, Connoisseur, and Collector, of which there's a catalog available in the gift shop! As I noted, I have a lot more to learn about Philip Shutze. Fortunate for me, and other Atlanta tourists, there are magnificent places to visit--and learn from--like the Atlanta History Center. And may I recommend an "Open House Experience", when you can meet "living history characters" who share what life was like in the house. 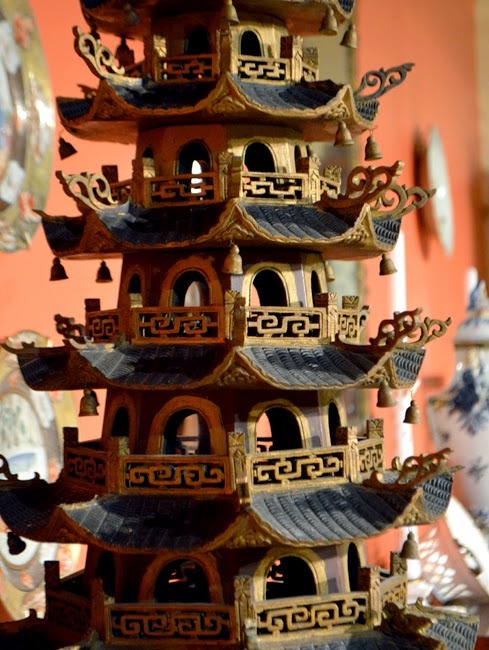 Of course, venture down to see Mandarin Shutze: A Chinese Export Life, a remarkable collection of history from a remarkable architect's life. 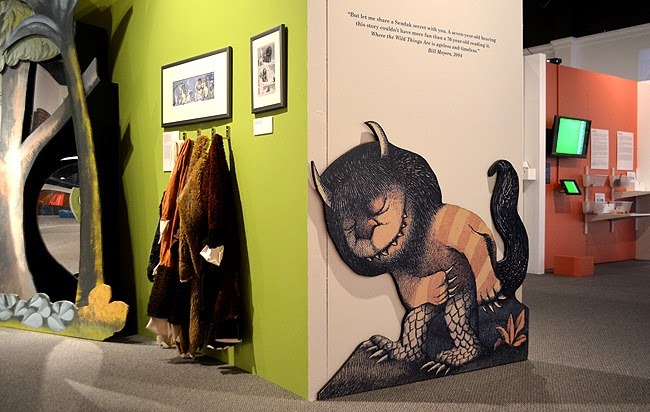 “There's room to run, crafts to make, and Wild Things to become at The Breman Museum!” shares the The Breman of its Where the Wild Things Are: Maurice Sendak in His Own Words and Pictures exhibition...AND you can slide into a bowl of "Chicken Soup with Rice"! 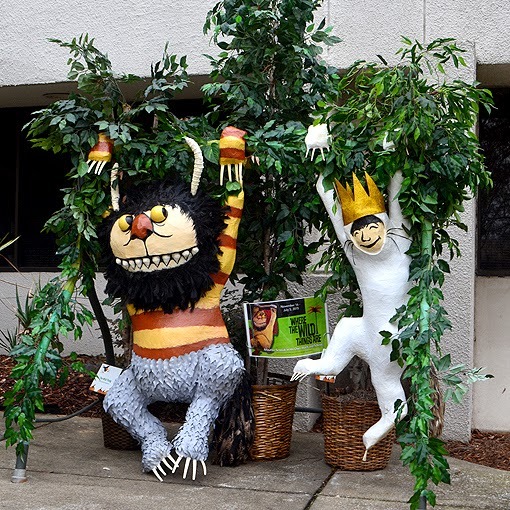 I first learned of the Wild Things exhibition when The Breman entered "scarecrows" in Scarecrows in the Garden at the Atlanta Botanical Garden...I was so excited! I didn't grow up with parents who read to me. I gained a passion for reading later. I think as an escape to other worlds, to other possibilities. I believe that's one of the things that attracted me to Sendak's work, specifically Where the Wild Things Are. Bottom line...developing a passion for reading changed my life, definitely for the better. 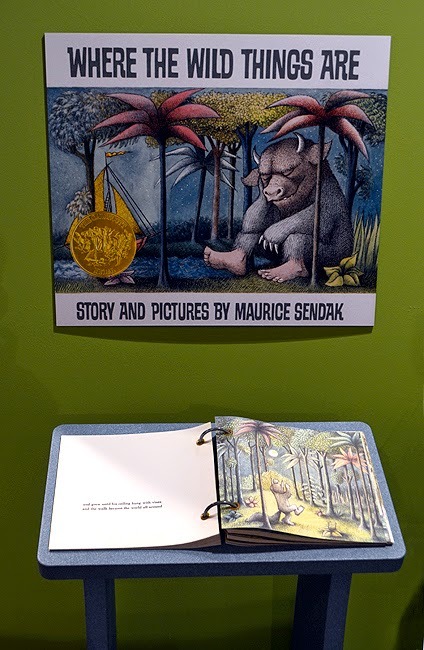 If by chance you're never read, or it has been a while, there's a huge copy of Where the Wild Things Are, and other Sendak books, for visitors to read at their leisure. Do enjoy reading it to your children. Of my greatest admiration for how this exhibition is put together is the importance it stresses on reading to one's children. It offers tips for how to most effectively read to kids. I myself do not have kids, but I can imagine that reading to them would have been something that I'd have very much enjoyed. But I can say that I've been guilty as "that uncle" who gifts books to his nieces and nephews. Perhaps not as exciting as Grand Theft Auto or Halo 2, but I hope the books I've shared with friends and kin have been enjoyed, to some extent. I love sailing and being on the water, but never had quite the experience that Max did in Where the Wild Things Are. But thanks to The Breman, and a bit of imagination, you and I—not breaking line in front of any of the kids, of course—have just that opportunity. Isn't imagination a wonderful thing?! Kids are going to love this exhibition! They can even dress up like "Wild Things" and play in the "Wild Forest". They can go on a voyage in Max's boat. They can perform on a stage. 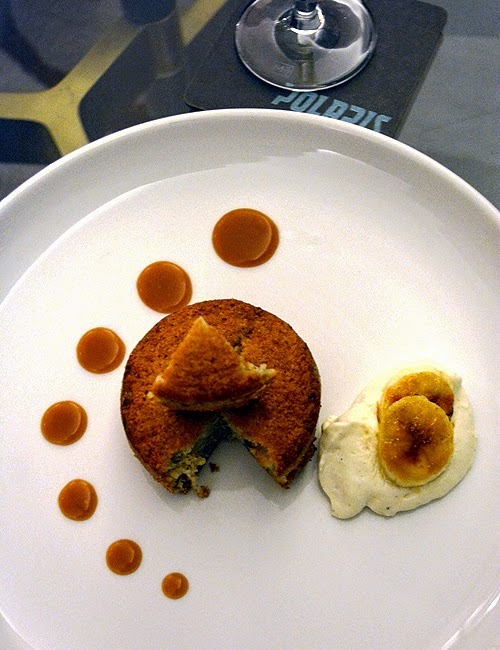 They can "cook" in a kitchen and so much more! But most importantly...they get to read. Around every corner is a new adventure. I think that perhaps that was Sendak's imagination in a single thought. His childhood was not an easy one. Realizing the morbid loss of so much of his family when he was just a child took its toll on him. It's even said that he remembers the kidnapping of the Lindbergh baby, the outcome of which weighed heavy on his childhood heart. In return, he gave us so many wonderful dreams. How wonderful for us that he turned to creativity. Tucked into a far corner is a brilliant "Creativity Classroom"...I love it! 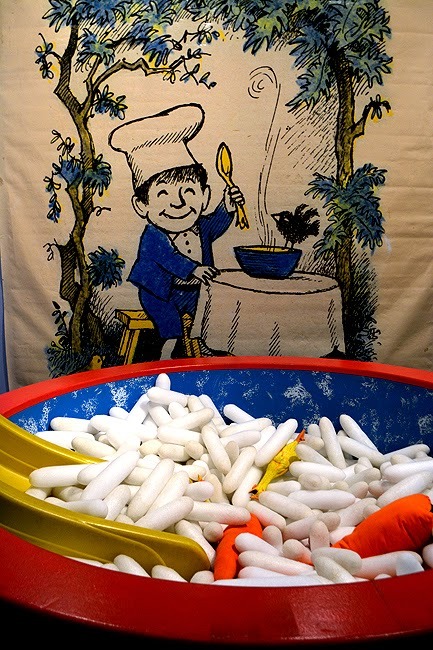 There were so many delightful trips down childhood memory lane in this exhibition. There are a number of events associated with Wild Things, including Family Sundays and speaker events. This is one exhibition that I think you'll want to visit more than once. Have a kid who dreams of being on stage one day? Here's a fantastic opportunity! 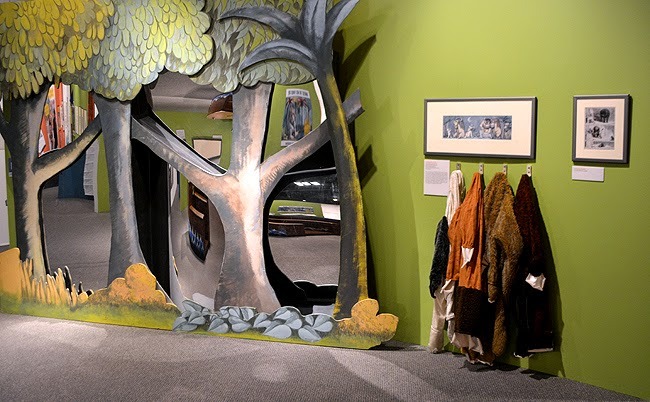 Where the Wild Things Are is open now through Sunday, July 5, 2015. Plenty of time for adventure after adventure after adventure. 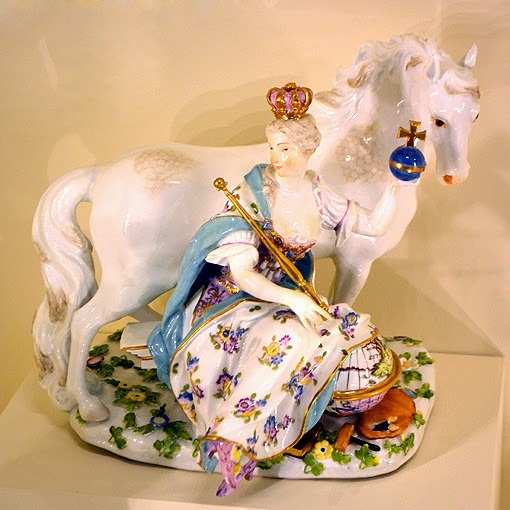 And do check out the Museum's other events and exhibitions. 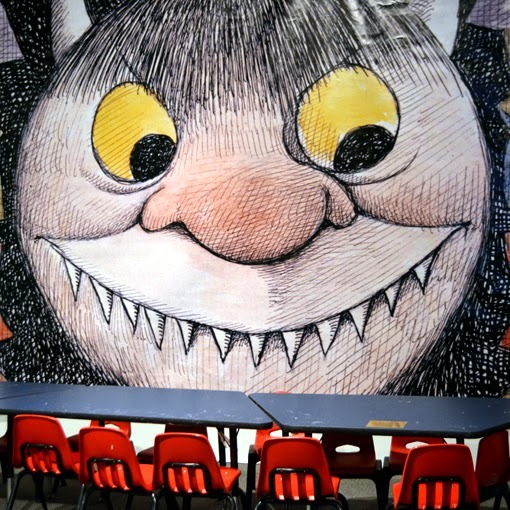 Some of Sendak's work was not without controversy. Then again, how many great artists escape controversy? In the Night Kitchen was one of those works. It had even been banned. I've not personally read it, but based on the exhibit, it seems perfectly delightful and playful. 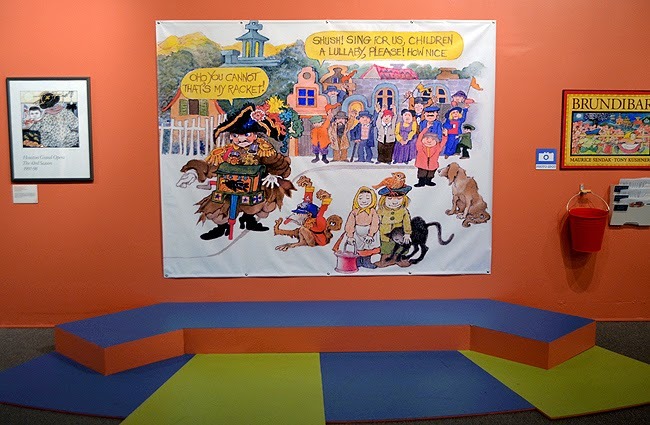 I must say again that I'm quite impressed with The Breman Museum's presentation of Sendak's work. The exhibits, interactive activities and learning opportunities are brilliant! I've really enjoyed researching Maurice Sendak. Even though I know this, the fact that you can "know" someone all of your life and not really know them still amazes me. Especially in this day and age. Seriously...what can't you Google? Maurice Sendak was born in Brooklyn, New York, to Polish Jewish immigrants. Most of his extended family were killed during the Holocaust. His father and older brother were also authors of children's books. He knew that he wanted to be an illustrator when he was 12. He illustrated 80 books before he published his first. He won numerous awards. He lived with his life partner for 50 years. 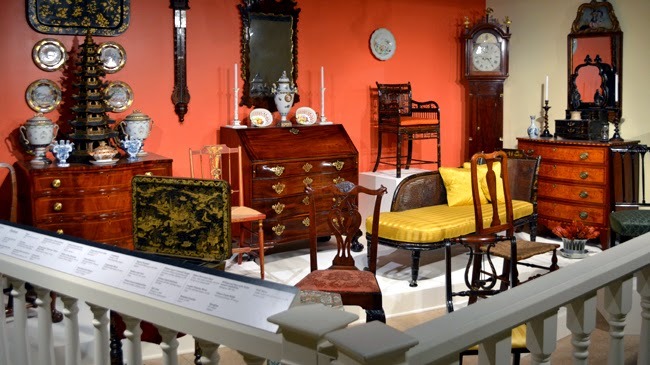 And today, the Rosenbach Museum & Library in Philadelphia, Pennsylvania, is home to a substantial amount of his work, a collection of nearly 10,000 works of art, manuscripts, books and memorabilia. In my research I found this quote, one that I can almost hear Maurice speaking: "I'm totally crazy, I know that. I don't say that to be a smartass, but I know that that's the very essence of what makes my work good. And I know my work is good. Not everybody likes it, that's fine. I don't do it for everybody. Or anybody. I do it because I can't not do it." art and how it can be used as a tool for coping with difficult situations. I for one think they splendidly hit the mark on all three. 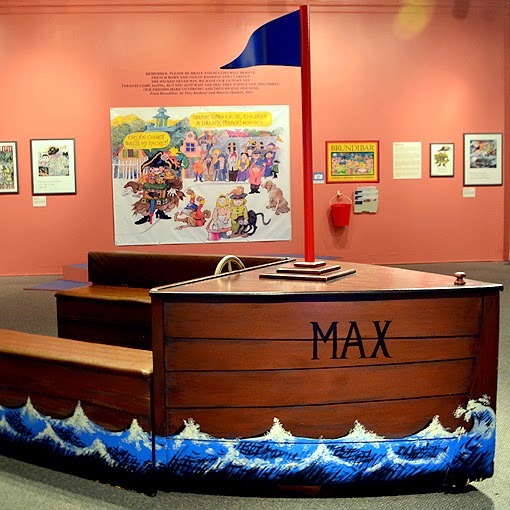 This exhibition, important to literacy and to Atlanta, is a must-see. Go read. Go on an adventure!